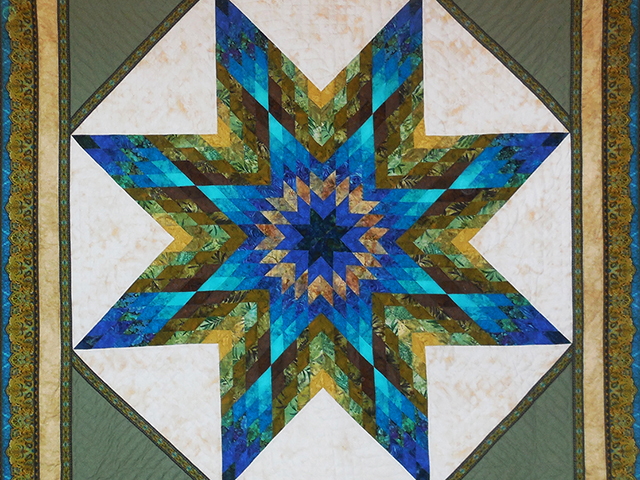 A striking Lone Star with fabrics selected by Dolores Yoder. 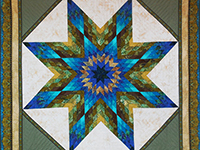 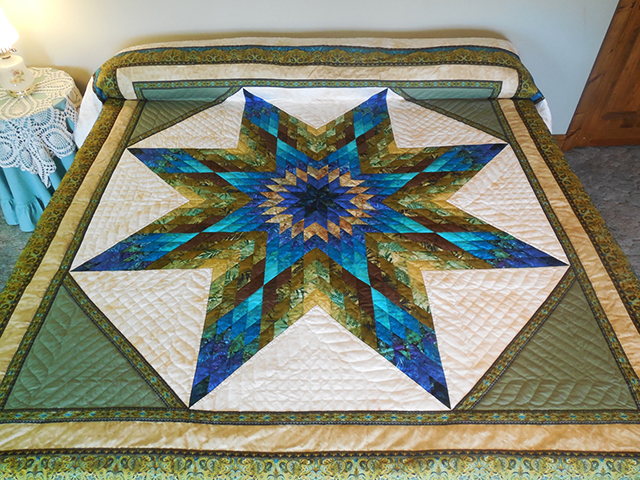 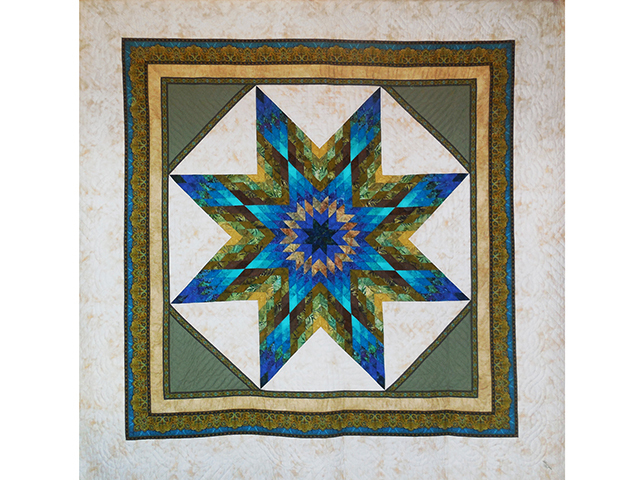 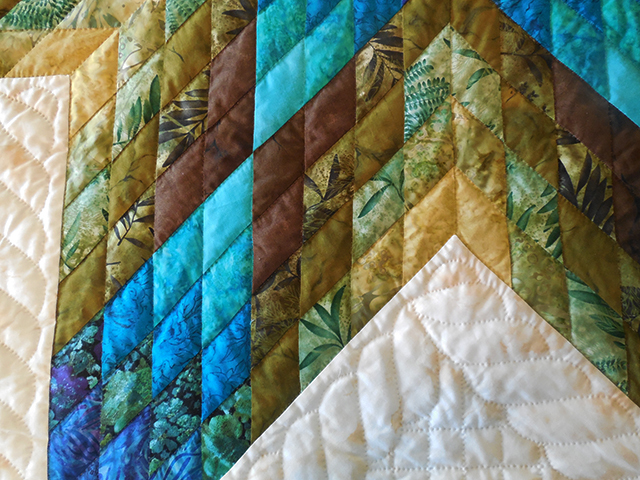 The star has an iridescent stained glass look with various shades of greens, blues and browns. 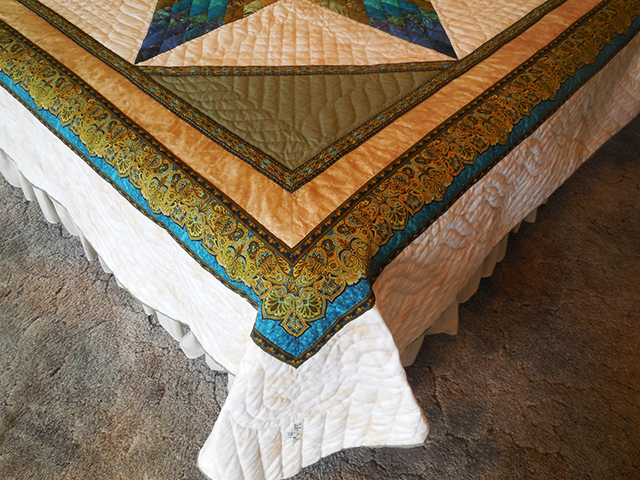 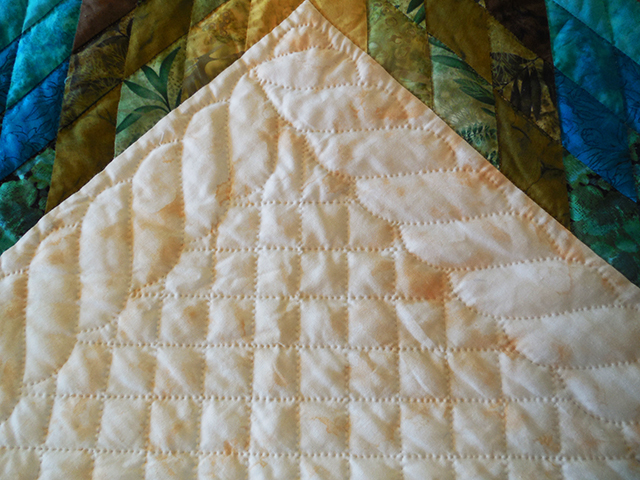 Dolores made the top and an Amish friend did the quilting with 8 even stitches per inch. 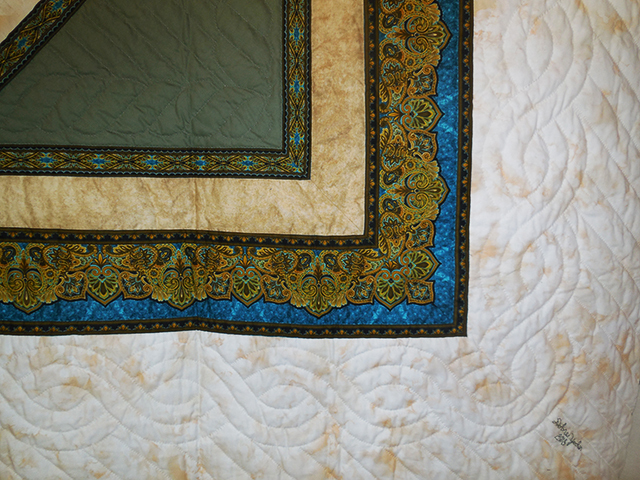 The back is covered with a 100% cotton muslin. 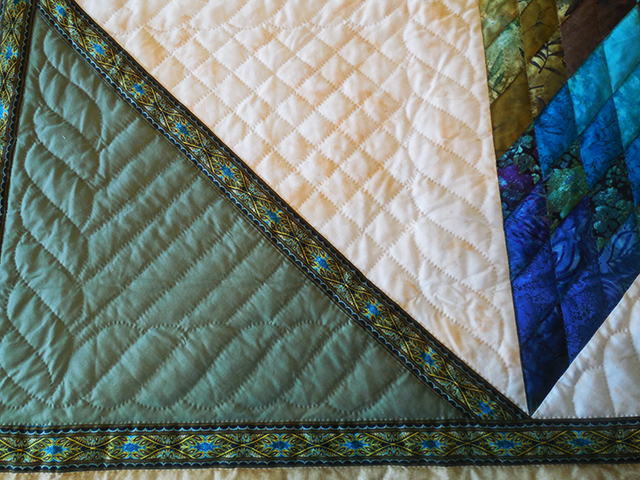 Signed and dated in embroidery by Dolores.